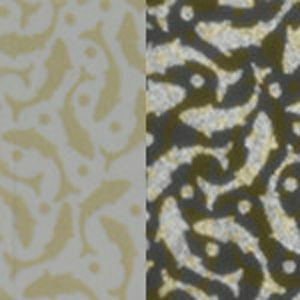 7548-Koi Pond CBS Glow-In-the-Dark Fusing Decal SALE! A new revolutionary product from Coatings by Sandberg! Glow-In-The-Dark fusible decals can be used for jewelry, accents on art pieces, candle holders, night lights and more! • ALL AREAS MUST BE FLATTENED ONTO THE GLASS AS IT WILL NOT SETTLE LATER.